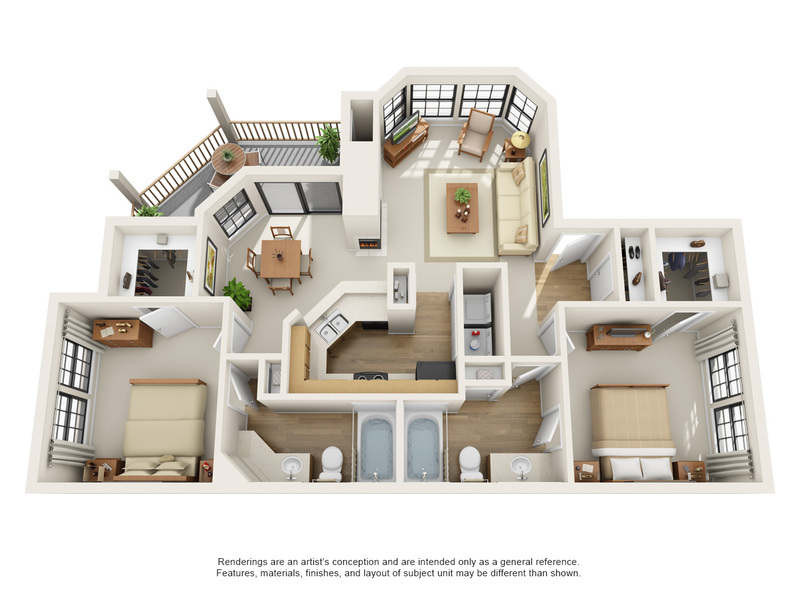 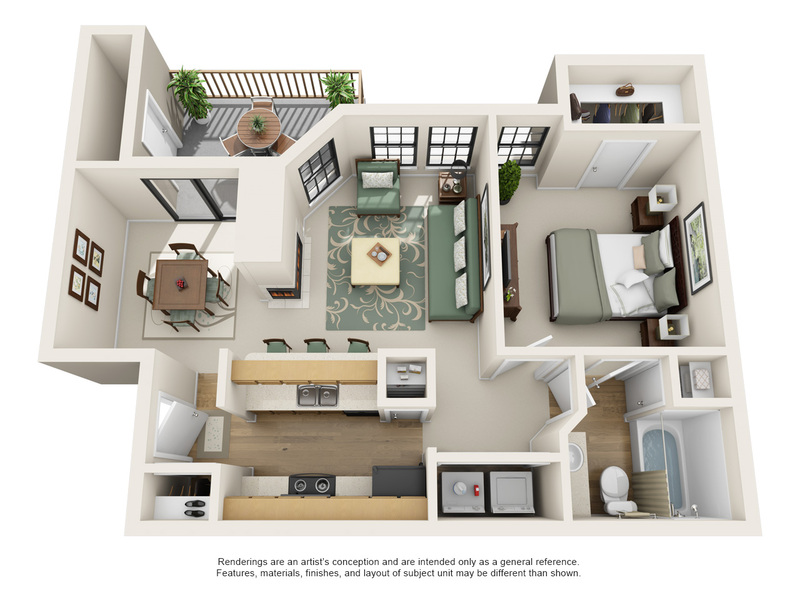 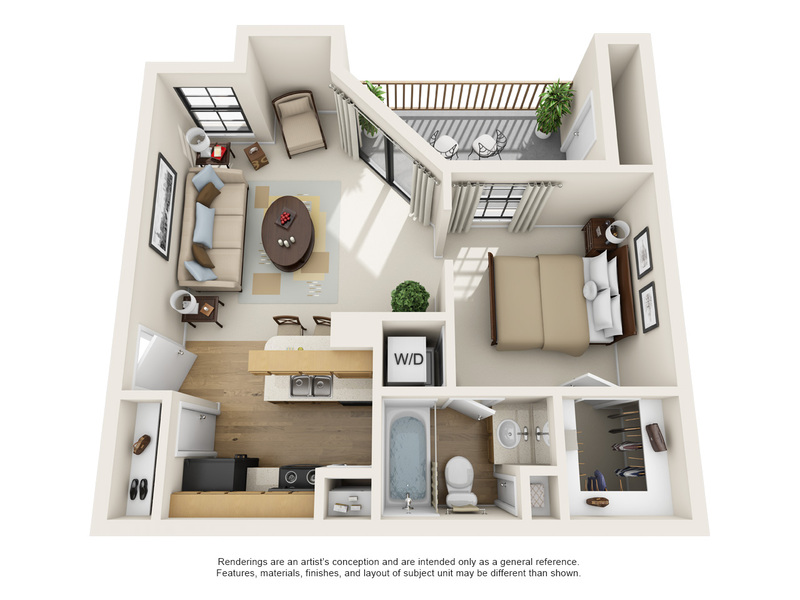 Windsong offers beautifully designed one and two bedroom apartment homes that feature nine-foot ceilings, a large balcony or patio, walk-in closets and kitchen pantries. 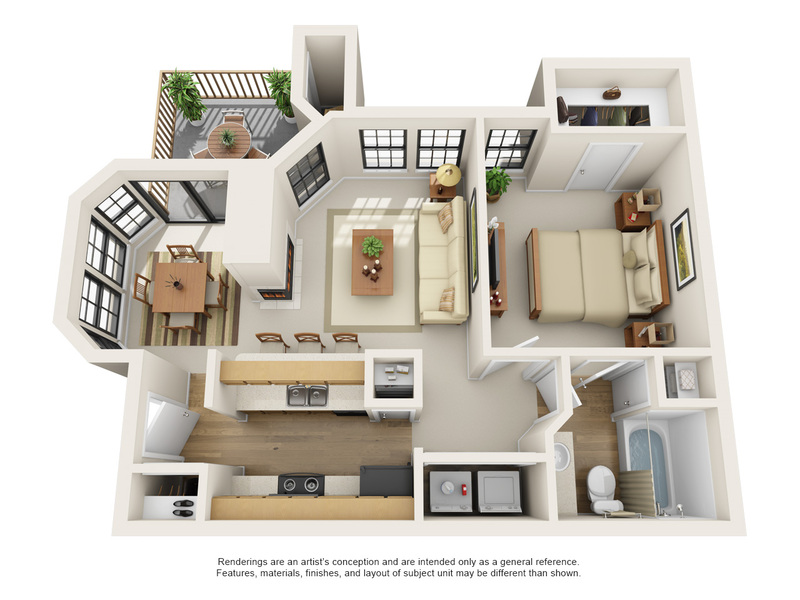 Some floor plans also include cozy fireplaces and bay windows. 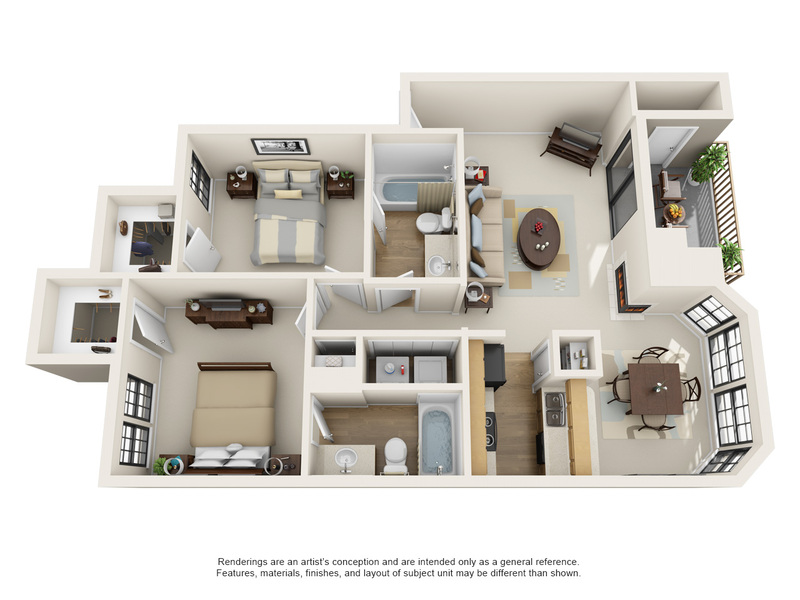 Our spacious and open floor plans provide plenty of natural light and ample storage with outside storage closets.